I feel delighted that I received an email in regards to working with #CoveryourHair Company again. I worked with them before and I love the scarf I got from them. Not only they have very stylish selections, they also carry the highest quality products. I’m sharing good gift ideas we can get for our siblings, kids, friends, and mothers. We can get those gifts such as Hair Accessories, Baby Hats, Head Scarves, Hair Clips, Hair Accessories, Baby Hats, Baby Headbands, Snoods, Head Scarves, Headband Bandana, Head Coverings, Head Accessories, and many more, in a very convenient ways. During this time of the year #CoverYourHair also offers a 20% off to my readers a chance to get their products with the help of a discount. Simply use the blogdec31 code at the checkout and the 20% off to apply. Hurry! This offer is only valid until December 31, 2013. 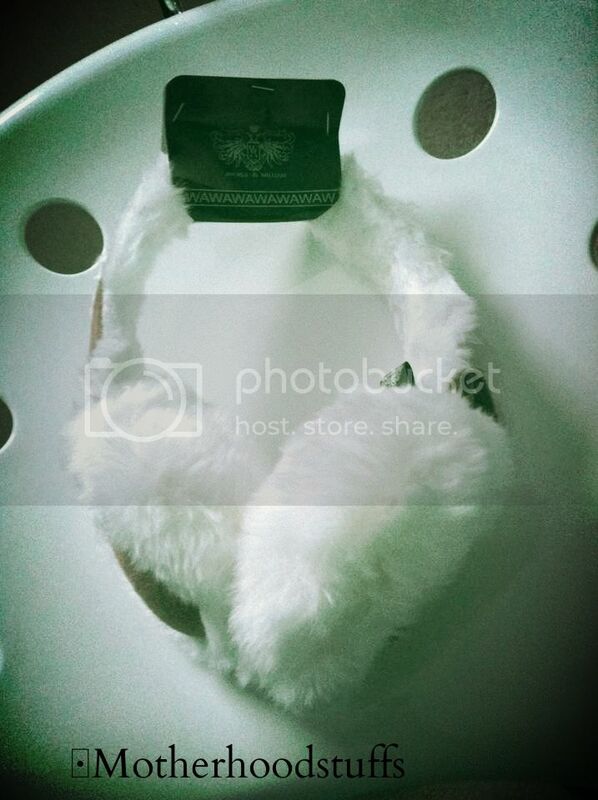 Moreover, I received the White Super Warm Faux Fur Ear Muffs –white in the mail. It came with 3 different colors of your choice. They are Black, Brown, and White. 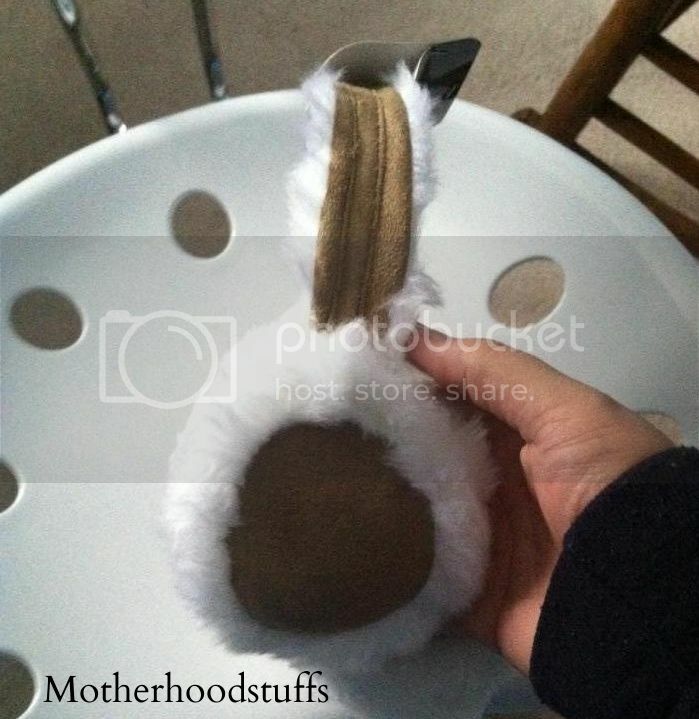 Super Warm Suede Faux Fur Ear Muffs are the warmest ear muff you will find. Not only is it fur on the piece covering your ear, it has fur all around. It has a Suede Covering and is excellent quality. Where to buy please click it here. · Very cozy and warm indeed, helps keep my ears warm, especially when I used the earmuffs outside to play with my son during a freezing weather. 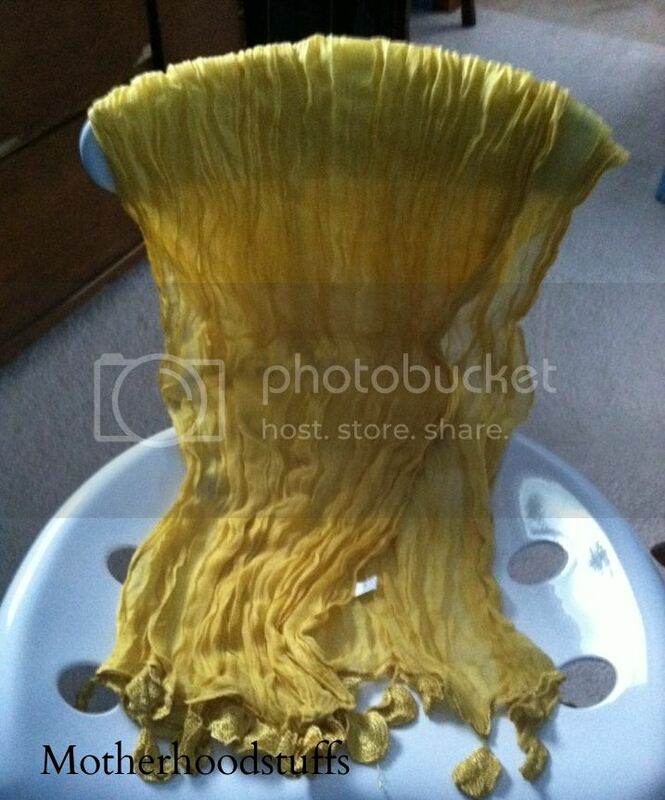 I also received a very nice YELLOW STYLISH SCARF SHAWL, which also came with different kinds of colors. Such as: Black, Blue, Brown, Cream, Green, Gray, Soft Pink, Raspberry, Orange, Purple, Hot Pink, and Yellow. This is a cool, fun, lite shawl or scarf. This item is a two in one it can be worn as a shawl or a scarf. · Good that I can be more fashionable while still bundle up with layers of clothes. · My neck feels warm too and I can use the shawl in any different ways. My overall familiarities with #CoverYourHair products are fascinating. A perfect gift idea for the upcoming Christmas or Special Occasion for your loves. They would simply love what you get to them; the website also has a FREE SUPER SAVING SHIPPING for all of your website orders. As for the ideas, I’ll be getting them for my friends and family it would be a nice stylish kind of scarves. I’m definitely sure they would love it as they can do so many ways to warm up their neck and be fashionable at the same time. Aside from that, you may also check out #CoverYourHair’s other accessories online such as the Head Accessories. #CoverYourHair is giving away a value of $25 box of surprise to 1 my lucky readers/followers. The giveaways will start on December 11, 2013, 12AM EST and ends on December 23, 2012, 12AM EST. This is open to US residents only. A disclaimer: This is NOT a sponsored post. I received the Shawl and Ear Muffs products for free in exchange of my honesty review. The outlook I expressed is 100% exclusively mine. those ear muffs look so fluffy and soft .I am sure they will keep your ears warm even on the coldest days.And who doesn't love a nice scarf. I hope we get to move by next year so I can hvae a reason to use the ear muffs, they are so cute. These are both great products and gift ideas for our friends and loved ones. I need an ear mops. I walked from school with my kids every weekdays and I always end up freezing my ears. Oh so cute, I think I will look good on those esp the scarf. I'm not used to wearing ear muffs here but I wear shawl. It's really important to wear one to keep yourself warm and at the same time fashionable during cold days. nice review and the prices are reasonable enough for these nice products. very cute furry earmuffs! my daughter loves earmuffs her collection is growing whenever we go to daiso haha love the scarf too! i've always been fascinated with fluffy ear muffs but have never worn one yet. i need some winter vacation to do so. lol. THe ear muffs is cute but hehehe we cant seem to use that here since it is very muggy and so hot in here, however the scarf can be use in the office. the headbands and the cabbie hats are my favorites! How I wish I can also wear that muff here, but it’s freakin’ hot here at home. I really like the scarf. Wish to win that. They have so many selection of a must-haves for Winter! These look SO incredibly warm! I like the Knit Beanie Hat with Pompom black :) Wishing to win. love the scarf. it'll be quite perfect for the December colds here. The cute earmuffs remind me of cold winter! Hehehehe! I like the puffiness of the ear muffs. Though we do not need it here in FL, this is still cool as a fashion statement this winter. Love the ear muffs. The scarf is nice but not my color. really like the Warm Winter Panda Hat, it's adorable and looks nice and cozy! !